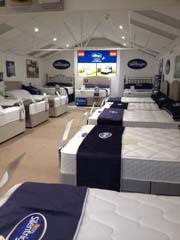 Relax Sofas and Beds has now been trading as an e-retailer for the past 10 years. In that time we have continually tried to upgrade and improve our site and service, so as to give our customers an enjoyable and profitable experience. We try and offer you an exciting range of furniture, which is continually changing and reinventing itself. The furniture we present on the Relax site represents a number of quality manufacturers, who are the best in their field and produce products at affordable prices, but of exceptional quality and design. We have also tried in everything we do to make the business, and particularly the site itself, as simple as possible to use; how many times have you searched for a site only to find that try as you may it is impossible to figure out how to order anything! 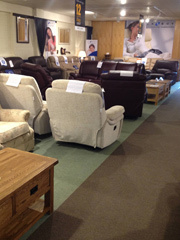 We employ a number of dedicated, professional and helpful staff who aim to assist you to make the right choice of furniture, and to get it to you on time and in the best of condition. 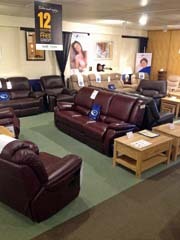 Relax Sofas and Beds is part of our parent company Style Furniture. Style is a conventional 'bricks & mortar' retailer in Louth in Lincolnshire. We have been established for over 30 years and have a 14,000 sq ft showroom just outside Louth in the village of Fotherby. The two businesses together have a vast amount of experience in furniture, and we can assure you that you can order from us on-line knowing that your order will be safe & secure, and that you will get what you want, when you want, at a good competitive price.